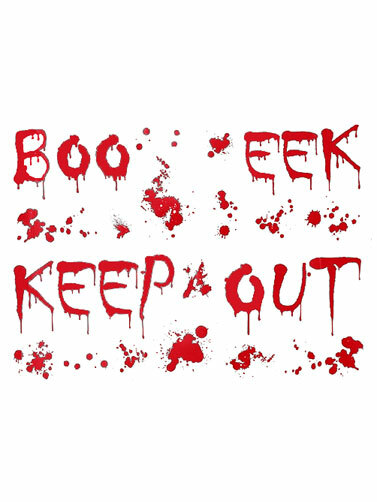 Creep out your walls with these bloody words wall art decals. Perfect for Halloween. Not just for walls, this assortment of bloody words and various blood splatters adhere to most smooth, non-porous surfaces without the use of adhesives. Red images on a transparent background, Not recommended for wallpaper. Bloody Words Wall Art includes 2 sheets containing 19 images that measure 2"W - 12"W.